This film was saw and reviewed in the IMAX 3D format. The original 300 film was a smash hit that no one expected. Based off a comic and having some groundbreaking effects all based out of a warehouse mixed with some phenomenal action scenes made the film stand out. Trying to continue that reign of success comes 300 “Rise Of An Empire” and it barely hits any of the marks that made the original so much fun. Rise Of A Empire is all of a prequel, retelling, and sequel to the original film. This is really just the story from another army’s eye. You see our main character Themistocles who is a legendary warrior try to gather all army’s together to fight against King Xerxes’ and his army. In the meantime you see every other city ignore him and see you the results of King Leonidas and his army of 300’s demise on the battleground. During all this you also see Themistocles rise as a leader before going into battle. The film builds around the events of 300 for the most part. Not entirely a sequel by means of the word as much as more of a work-around. Don’t expect to be entertained by the story at all though. 300 worked because of it’s simplicity and like other elements of this film Rise Of An Empire tries to over do it. Though this film does shine a new villain on us. No longer is King Xerxes our main concern, in fact he is barely in the film par a few scenes. Instead we get Artemisia who is Xerxes right hand woman. Artemisia though steals most of the show. She is a evil yet powerful villian who has the look and feel of a leader. Don’t go in expect some grade A acting either. 98% of the roles in this are either background roles used for action or just so easily forgettable because they hold little to no substance. 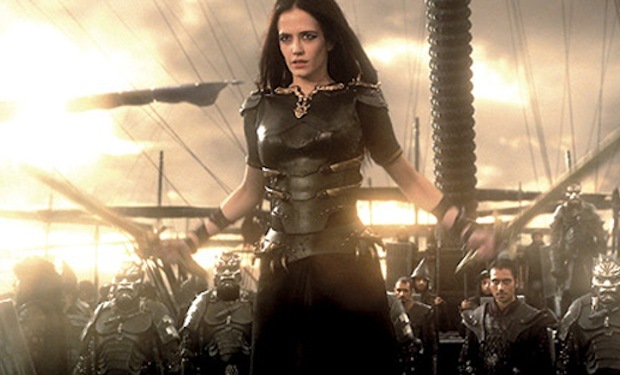 Eva Green as Artemisia is by far the stand out role for reasons already explained. Sullivan Stapleton as Themistocles does a decent job as the hero. He has the look and feel of a heroic leader but at times his acting isn’t the strongest. Really the only other role in the film that actually has importance or substance would be Lena Headey reprising her role as Queen Gorgo from the original film. The action was the main point that made 300 so great. Slow motion moments mixed with the perfect amount of blood to showcase the violence. Throw in large scale battles and you had a recipe for success. This film does succeed in some aspects. Generally the action scenes and fun and brutal. They for the most part still feel large and epic this time throwing boat and on sea action into the fray. However the blood now is too much. That being a odd statement for a action film I should explain why. Every cut, slash, and everything in between is now met with large amounts of blood being thrown out, around, and onto the screen. It is just too much and too overdone. Saying that most of the blood is CGI added too makes it look faker than it already is. Speaking of fake that is another problem. Especially in the latter half of the film certain scenes look cartoonish. They added too much CGI and effects into it and you can clearly see that. I should note about seeing it in IMAX 3D as well. The IMAX made the scenes look a lot better for sure. The action scenes felt larger and IMAX made sure it was louder that’s for sure. The 3D followed trend of other recent films of instead of making something pop out just gave the film that rounded view. 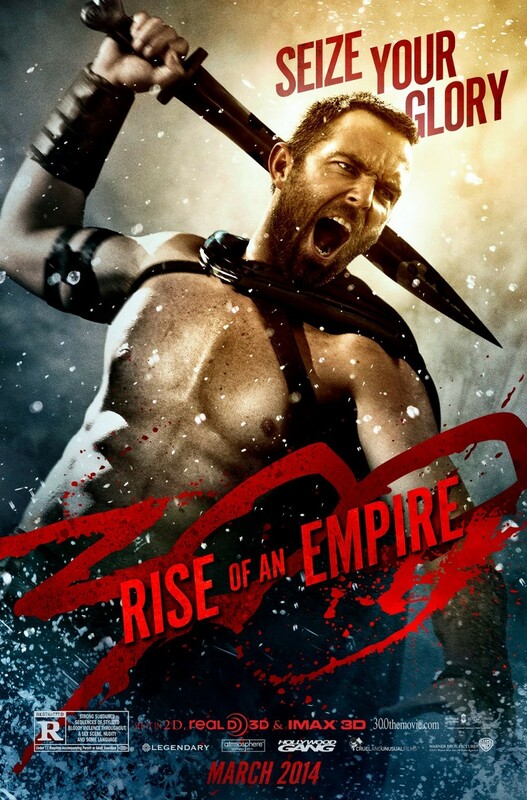 Overall this was a lackluster attempt to continuing the 300 film and making it a series. With a boring tacked on continuation and retelling of 300, bland acting and characters, and some poor CGI effects the films action scenes can’t stand a chance. Check this out on DVD but that’s all. Hopefully they can work out the kinks for the inevitable 3rd film.